Discount Garage Door serves in local communities throughout Green Country and the Oklahoma City Metro Areas, including South Oklahoma City and Tulsa. Discount Garage Door offers new garage doors, garage door openers and garage door repair services. 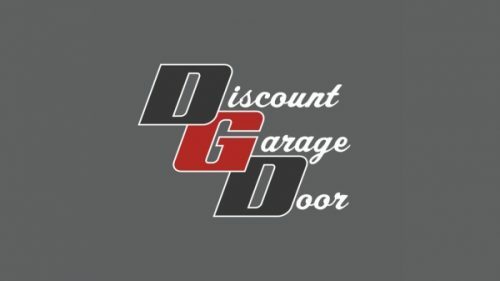 Discount Garage Door is a family-owned business that prides itself on quality garage door services with an emphasis on affordability and customer service. Locally owned and operated since 2001, Discount Garage Door has been going high thanks to its competitive pricing and unbeatable customer service. With an average rating of 5 stars over 280 verified reviews, there is no better option in the Oklahoma area. Discount Garage Door serves in local communities throughout Green Country and the Oklahoma City Metro Areas, including South Oklahoma City and Tulsa. Discount Garage Door offers new garage doors, garage door openers and garage door repair services. Their online quote form is free to use and can quickly give potential clients a fast estimate on their requested job. Discount Garage Door specializes in a range of great garage doors, including steel doors, fiberglass doors, aluminum doors and custom wood overlays. Discount Garage Door carries out installations for a wide variety of high-quality garage doors in a variety of different styles and materials. Pricing is affordable, and the team is committed to providing homeowners with a turnkey service that goes through every step of the process. If the client doesn’t know what they need, then the staff at Discount Garage Door will be happy to suggest materials and sizes to help make the process easy and stress-free. Discount Garage Door also offers commercial garage doors, such as sectioned commercials doors and rolling garage doors that are capable of protecting your business. These can be custom designed to your liking and come in a variety of styles and materials. Discount Garage Door offers some different garage door openers and installation. Popular models include Genie and Liftmaster, and there are several options available such as screw-driven garage door openers, chain-driven garage door openers, and belt-driven garage door openers. Discount Garage Door is happy to suggest which option would be suitable to the client, and will also diagnose potential points of failure that could affect the lifespan of the unit. Discount Garage Door also specializes in garage door repairs. Broken garage doors can be harmful to home and business owners, and it can severely hinder daily operation. Broken springs and cables can also harm the effectiveness of a garage door, but Discount Garage Door has the staff and the experience to deal with virtually any garage door issue. Discount Garage Door is also perfectly capable of maintaining your garage door, be it for commercial or residential use, to keep it functioning. Discount Garage Door has been operating since 2001, and throughout those many years, they have worked with clients from all over Oklahoma to provide affordable garage door installation, maintenance, and repair services.